Pennsylvania, a northeastern U.S. state and one of the 13 original colonies, is known for its diverse terrain, which includes wide stretches of farmland, national forests and major waterways. Philadelphia, the Keystone State’s largest city, displays its rich history in Independence Hall, where the Declaration of Independence and Constitution were signed, and the Liberty Bell, an enduring symbol of American freedom. One of the original 13 colonies, Pennsylvania was founded by William Penn as a haven for his fellow Quakers. 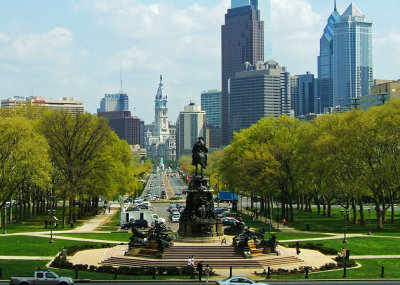 Pennsylvania’s capital, Philadelphia, was the site of the first and second Continental Congresses in 1774 and 1775, the latter of which produced the Declaration of Independence, sparking the American Revolution. 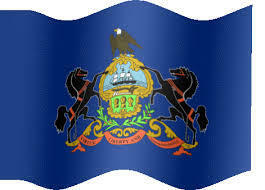 After the war, Pennsylvania became the second state, after Delaware, to ratify the U.S. Constitution. In the American Civil War (1861-1865), Pennsylvania was the site of the Battle of Gettysburg, in whichUnion General George Meade defeated Confederate General Robert E. Lee, bringing an end to the Confederacy’s Northern invasion, as well as Lincoln’s famous Gettysburg Address. Tourists are drawn to Pennsylvania by its monuments to America’s revolutionary history, includingIndependence Hall and the Liberty Bell. 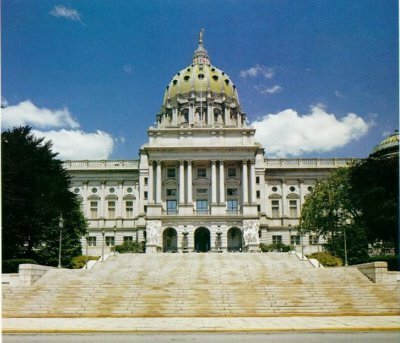 Famous Pennsylvanians include patriot and inventor Benjamin Franklin, frontiersman Daniel Boone, painter Mary Cassatt, inventor Robert Fulton and comedian Bill Cosby. Although born in Boston, Philadelphia claims Ben Franklin as one of its sons as the renowned statesman, scientist, writer and inventor moved to the city at the age of 17. Responsible for many civic improvements, Franklin founded the Library Company of Philadelphia in 1731 and organized the Union Fire Company in 1736. On September 18, 1777, fearing that the approaching British army would seize and melt the Liberty Bell for ammunition, 200 cavalrymen transported the iconic symbol of freedom by caravan from the Philadelphia State House to the basement of the Zion Reformed Church in Allentown, where it remained until the British finally left in June of 1778. 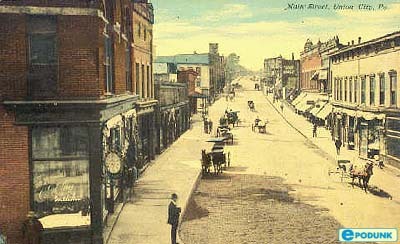 Now the largest city in Pennsylvania, Philadelphia served as the nation’s capital from 1790 until a permanent capital was established in Washington, D.C., in 1800. Both the Declaration of Independence and the U.S. Constitution were signed in Philadelphia. In July of 1952, Jonas Salk developed the first polio vaccine from the killed virus at the University of Pittsburgh. First tested on himself and his family, the vaccine was made available nation-wide a few years later, which reduced the number of polio cases from nearly 29,000 in 1955 to less than 6,000 in 1957. In 1903, the Boston Americans and Pittsburgh Pirates competed against each other in the first official World Series of Major League Baseball at Exposition Park in Pittsburgh. In the best-of-nine series, Boston won five games to three. The worst nuclear accident in United States history occurred on March 28, 1979, on Three Mile Island near Harrisburg. Caused by a series of system malfunctions and human errors, the plant’s nuclear reactor core partially melted, and thousands of residents were evacuated or fled the area, fearing exposure to radiation. 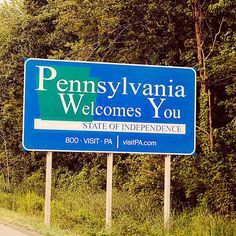 William Penn initially requested his land grant be named “Sylvania,” from the Latin for “woods.” Charles II instead named it “Pennsylvania,” after Penn’s father, causing Penn to worry that settlers would believe he named it after himself.